Much like 1960s America, we live in an era of cultural tension and unrest. During times like these, the freedoms protected under the first amendment, especially those of freedom of speech, press and assembly, are flexed more than ever. Schools and college campuses, which serve as places of learning and spaces where voices are listened to, become the prime battleground for rhetoric and discourse of political ideas. 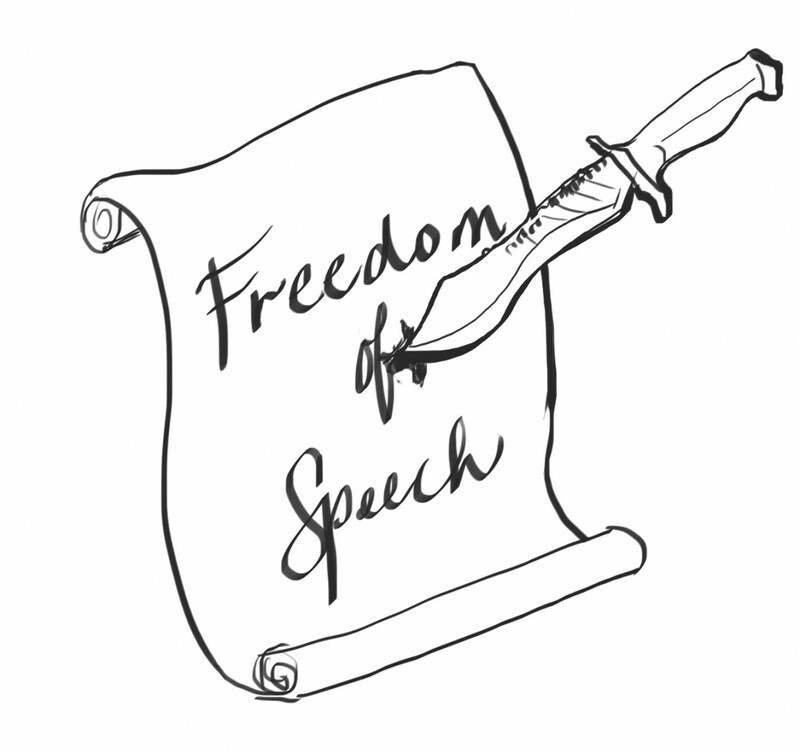 But modernly, the fine line between abusing and violating the first amendment is drawn even thinner. What if those students or teachers willingly shed their rights of expression for the creation of a more safe and peaceful space? Are they not utilizing their freedom of speech in another way, by denying themselves speech? In the age of political correct (P.C.) culture, the legal and moral standards associated with our first amendment have become murkier. As the way in which we are able to exercise our freedom of speech is debated, the stakes of those exercises of freedom are elevated as well. In 1965, Tinker v. Des Moines began over the instance of five students being suspended for wearing black armbands in protest of the Vietnam war. Only a few weeks ago, over fifteen hundred people at UC Berkeley protested against the alt-right guest speaker, Milo Yiannopoulos, resulting in damages to the campus of $100,000 and the cancellation of his speech. This recent event has been a recurring story in the news. On college campuses across the nation, and including our very own demonstrations resulted in guest speakers on campus discontinuing or canceling their speeches. The hundreds of protesters at UC Berkeley assembled peacefully for about an hour before “150 masked agitators” swayed the protest into a more violent and destructive atmosphere. On the very same campus that once served as a major battleground in the fight for free speech, Yiannopoulos was “evacuated” and the school was forced to cancel the event. This particular event exemplifies the issues that arise when making the assumption that P.C. culture infringes upon first amendment rights. The conception that those protesters violated his first amendment rights is a myth because the first amendment holds that “congress shall make no law… abridging freedom of speech.” The protesters are not in the position of congress, therefore the government is not restricting anyone’s freedom of speech in this case. The protesters, who can arguably be blamed for inciting the cancellation, were in their rights to assemble. It was only in the violence and destruction of property that they abused and stepped out of their rights. Yiannopoulos, too, was in his right to give a speech, however inflammatory or hateful that speech would have been. Regardless of the cultural unrest in our day and age, the legal standards of freedom of speech are being upheld and rightfully contested. Before moving on to investigate the claims of moral standards, a close consideration should be made to the first amendment itself and how its defined and interpreted by the supreme court. Eve Peyser writes in Esquire goes on to claim that, “The heart of [P.C. culture] isn’t about making sure what you say doesn’t offend, but how people with radically different beliefs should best talk to each other.” The intentions stated and the plea for communication addressed here, by an defender of P.C. culture, seem inherently reasonable. But it’s almost redundant to plea for protection of freedom of speech when the negative effects of P.C. culture on college campuses are under fire from both conservatives and liberals alike. Language and communication are powerful, these are acts both sides of the political spectrum can agree with. Language dictates our law, but language and meaning in itself is incredibly malleable. The language of law in the case of freedom of speech raises further questions and contestations, especially with the emergence of P.C. culture and recent demonstrations on college campuses. These campuses are spaces where people with opposing opinions should have the opportunity and the platform to exercise the power of their first amendment rights. It is here where anyone, regardless of political orientation, can delve into the murky meaning of language and law and attempt to find the answers to those questions and contestations. In the same space where those that are accused of limiting free speech utilize their first amendment rights to assembly, those that accuse P.C. culture of suppressing free speech can also find a platform to voice their opinions. Here, in this complex and controversial dynamic, the beauty in interpreting and exercising the first amendment is made outside of the courts and instead, on college campuses. This editorial is a reflection of the opinions of The Sundial editorial board.